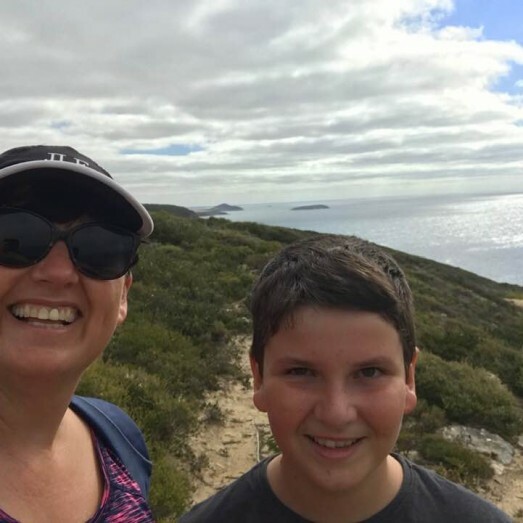 We are a mother and son team doing the trek to raise awareness that bowel cancer can strike at any age . We are also walking in memory of family members who have passed away from bowel cancer. Kathryn's Dad Ross died in 1986 at age 47. He never got to meet any of his 7 grandchildren including Samuel. Samuel's other Grandpa Brian battled bowel cancer twice, first at age 65 and again at 85 when sadly it took his life. We hope to raise money for the Jodi Lee Foundation and importantly raise awareness amongst our family and friends that early detection tests for bowel cancer save lives. Be aware, take the test, it might just save your life. We appreciate your support for this cause that is close to our hearts.